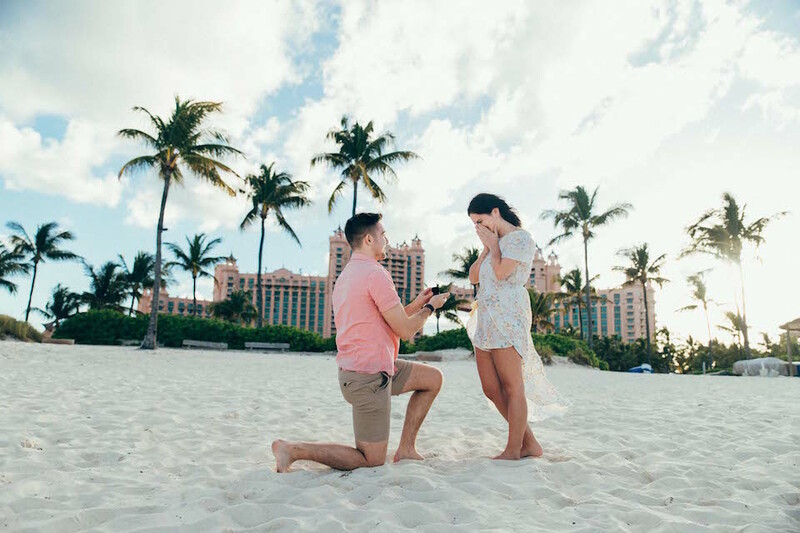 A windy grey day turned into one of the most magical of Jay and Kelly’s lives: little did Kelly know that on the stormy sands of Palm Beach, Jay was going to ask her to be his wife! Flytographer Cheryl captured this emotional surprise proposal, and caught one of our favourite reactions of all time. 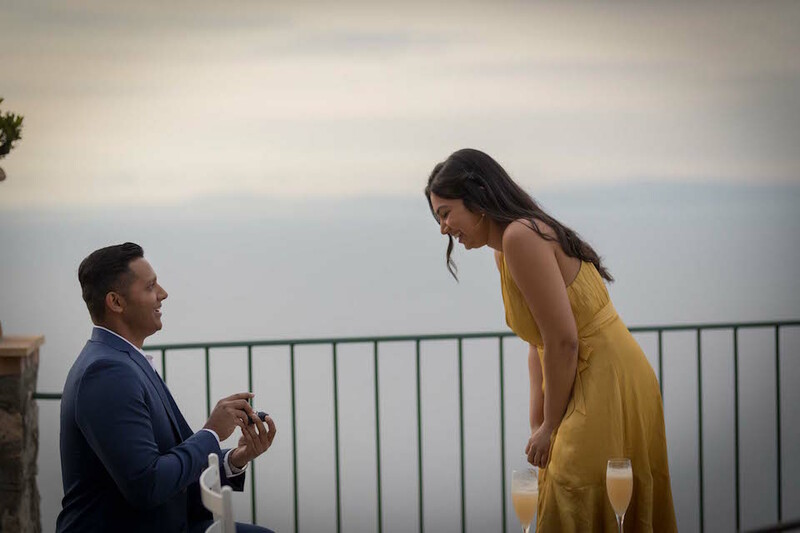 Jay: “I knew I wanted to spend the rest of my life with Kelly and I had been waiting months for the perfect moment to propose. Kelly and I decided to book an impromptu trip to Florida. I had just two short weeks to plan the perfect proposal. I knew that Kelly wanted someone there to take photos, and I knew I didn’t want it to be one of her friends. That would be too obvious. I came across Flytographer online and immediately knew they would be perfect. “I booked a reservation and Shoot Concierge Tedi set up a Skype meeting with me and the photographer Cheryl. We planned all the details for the big day and they both provided plenty of advice and tips. Next step was to ask her parents for their blessing and to acquire the family heirloom ring. I decided to whittle a ring box out of wood. I needed something small enough to fit in my pocket without her noticing. On the big day, I was pretty nervous, and in my head I was reciting my words an estimated 2,000 times! My fitness tracker showed my heart rate at a cool 121 beats per minute. I tried my best to stay calm so she wouldn’t notice. Kelly: “I’m actually still in shock about the proposal, as I definitely did not see it coming. We went down to Florida to stay at my parents’ house outside of West Palm (in retirement central) for a relaxing quiet long weekend, just the two of us. Jay suggested we go into West Palm Beach a little early before our flight home, since there was a lifeguard stand he really wanted to take a photo of (he’s very into the perfect Instagram shot! ), and I agreed. We were walking along the beach at 4:15pm (the exact time he said was best for this ‘perfect shot’) in the strongest winds and most gray skies ever, when Jay suggested we go down right down into the sand. Looking to capture the most special moment of your life? 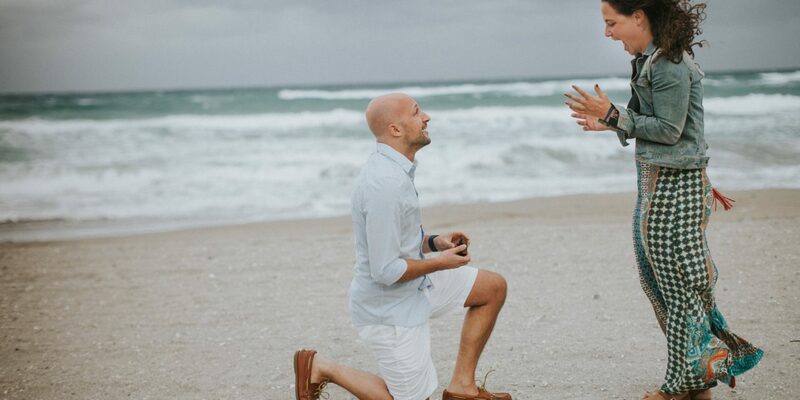 See more proposal inspiration HERE!